I am looking to get an amex for work expenses, I pay them myself and then get reimbursed every month. I travel a fair bit for work domestically, all flight and hotels are paid by the company and any expenses other than that I pay and are then reimbursed. I currently have a qantas world master card but the redemption 0.6 points per dollar is a bit weak, the complimentary Starwood status and hertz CDP has been pretty good. I really love late checkout and early checkin perks, free and discounted meals is less important as ultimately I don't pay but happy to save the company some money. I don't mind paying for Amex platinum if it would be worth it but obviously prefer saving the money. One benefit would be virgin lounge access if I don't manage to renew QFF gold this year. I really hate the idea of early mornings out of Brisbane and late evenings out of Sydney without a lounge. I've had the AMEX Platinum charge card since around 2005 as I've had a heavy travel schedule for well over 10 years now. I'm in a similar work situation though I'm moving from contract to permanent but the company doesn't issue corporate cards or arrange travel (yet) so I pay for all work travel on my AMEX Platinum charge card and get reimbursed. Points earn - I know this has changed - I'm yet to digest the impact. Either way the points I earn via AMEX pays a significant portion of our household budget. In a good year I'll convert points into $800+ of Coles gift cards - with a young family your partner will appreciate this! There are other soft benefits like Platinum event invitations and the regular special offers - I particularly like the hotel ones where a spend of $400 generates a rebate of $120~ to your card. I've used this a few times and quietly earned some free cash from a work trip. The annual fee stings a bit, but we see enough value at the moment to justify it. 5. Accor Plus - 1 free night and 50% off dining with 2 people. We just saved approx $350 on food costs on a holiday in Bali because of this. 6. Fin Review subscription. I'm enjoying reading this on a daily basis. 8. Fine Hotels and Rewards. Recently did a stay at Crown Towers for $358 a night, which was the price for the base room on the crown website. However, the FHR package included a Club room with Club access and a one way airport transfer. Easily worth $2-300 extra. 9. Smartphone screen insurance - got $300 back for my broken phone screen. Damn, I missed a few benefits in there! Supplementary card for wife plus the Reserve card help stack up the hard case benefits. The AFR subscription is something I'm really starting to use as well. I try to use the Accor free night for family stays as well. 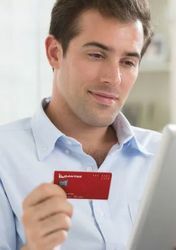 When you apply for the Platinum Reserve credit card would they do another credit check if you already have the platinum charge card? Thanks guys that's really helpful! I didn't know they still did the platinum reserve with the charge card so that is a big plus, perhaps it tips the scales. Do you pay the $1400 in your first month? is there someway to not take the hit all in one go? thanks!, do you have to pay the full annual fee up front? thanks that's really helpful, the Accor membership is a good one for me too! Unfortunately yes. It goes onto your first month's statement. LPT - think about what month you commit. I inadvertently signed up in the December billing month which is also the month we pay a few insurance policies and (as you'll soon learn) is also the month when you start forking out for school fees/supplies/uniforms. Man, December is a big red month in our household - so much cash going out! If you're going to keep up that cadence of travel it will be worth it! Amex CPA Platinum Reserve has been good for us. The travel credit which covers the annual fee is great; decent points earning, along with Priority Pass bonus. We were thinking of applying for another card to make the most of bonus points on application and spreading our business spending to avoid points cap. With the requirement now of showing payslip/tax return, (and with personal income under the requirement of Platinum level) will we knocked back applying for another one? Or does a letter from an accountant suffice to say we can service the repayment?? Or should we be looking at a charge card?